"Power Plays: Why Gender Matters"
For people in nations where laws prohibit gender discrimination, it may seem as though gender is no longer a pressing issue. And yet beliefs about gender differences continue to influence our daily lives, often when we are unaware, and often in ways that contribute to gender injustice. To understand how power and gender are inextricably linked, we must explore how our personal interactions and sociocultural institutions function to produce, maintain, and/or challenge gender inequities globally, regionally, and in our own Concordia community. The 2018 Faith, Reason, and World Affairs Symposium will examine the ways in which gender and power intersect with other forms of difference, including race, class, sexuality, religion, (dis)ability, and so on. We will explore relationships between gender and power in a variety of contexts: in the classroom and the workforce, in intimate relationships and political systems, in economic pursuits and religious faith. We will also discuss empowerment and action as we uphold the college’s commitment to engaged citizenship in the world. This exploration can empower us to envision and create a world in which all lives are equally respected and valued. Tickets are required for all performances. Tickets are $20 for Adult General Admission and $10 for Student General Admission (K-12 and college students). There is a $2 discount for senior citizens. Tickets will be available online at ConcordiaTickets.com starting Sept. 6, 2018. Tickets can also be ordered by phone at 218.299.4366. If you would like to place a mail order, please send a request and check made out to Concordia College to Cultural Events Series, 901 8th St S, Moorhead, MN 56562. A classical crossover duo, baritone Jean Bernard Cerin and pianist Veena K. Kulkarni fuse art, folk, world and religious idioms to celebrate individual communities while also creating spaces for intercultural dialogue. 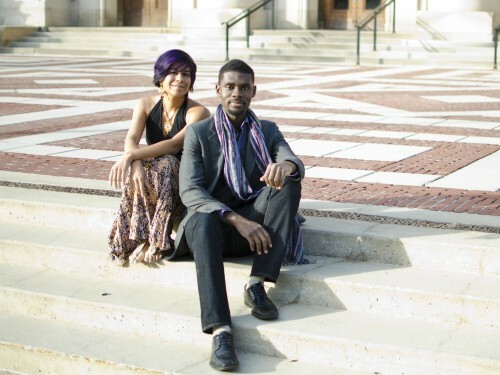 With Indian-Filipino-American and Haitian backgrounds, Veena and Jean Bernard synthesize a broad cultural heritage with their western classical training to explore music from all around the globe. Together, they bring new sounds to conventional classical music audiences and share this classical music tradition with new audiences. 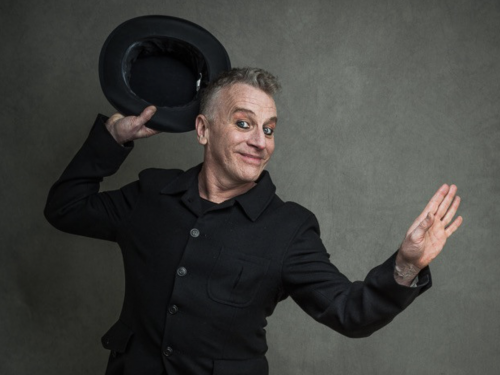 Hailed by critics as the most accomplished and renowned mime of his generation, Bill Bowers currently performs and teaches the art of physical storytelling throughout the world. His methods and exploration of universal truths transcend the spoken word to educate and touch audiences in countries as varied as Poland, The Netherlands, Scotland, Japan, Macedonia, Romania, Italy, Germany, Norway and Austria. An award-winning actor, Bowers has also performed in all 50 states and Puerto Rico appearing on the stages of Broadway, The Kennedy Center, The White House, Steppenwolf, LaMaMa, Theater for a New Audience, St. Anne's Warehouse, urban Stages, Rattlestick Playwrights Theater, Ensemble Studio Theater, Radio City Music Hall, HERE, and the New York International Fringe Festival. His Broadway credits include Zazu in "The Lion King" and Leggett in "The Scarlet Pimpernel." He has also portrayed the great silent clowns: Charlie Chaplin in the world premiere of "Little Tramp," Pierrot in the world premiere of "Beethoven 'N' Pierrot," and Petrushka with the Colorado Symphony. A passion student and educator, Bowers studies with legendary Marcel Marceau and currently serves on the faculties of New York University, Stella Adler Conservatory and William Esper Studios. He is also presently a Visiting Professor at Williams College. He holds an MFA from Rutgers University's Mason Gross School of the Arts and an honorary Ph.D. from Rocky Mountain College. When three extraordinary musicians combine their eclectic musical interests with internationally recognized classical performance ability, you get The Modern Trio. 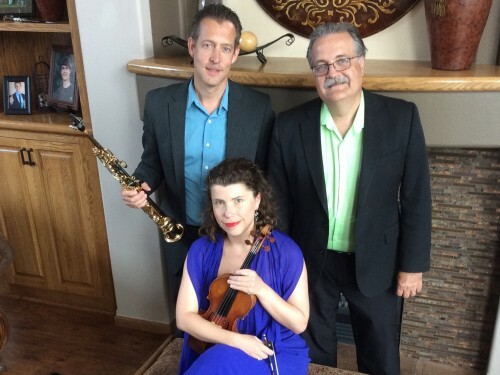 Concordia faculty and Fargo-Moorhead Symphony Orchestra members Sonja Bosca-Harasim, Russell Peterson and Jay Hershberger formed the trio in 2017, which blends the unlikely (but brilliant) matchup of violin, saxophone and piano. 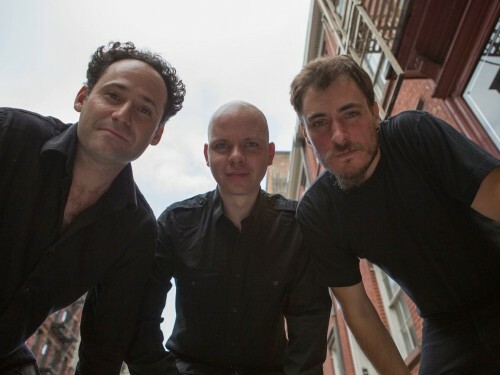 Their program is varied and can encompass everything from Argentinian tango, British progressive rock, American smooth jazz, a bit of Mahler and Shostakovich, new compositions created just for the trio, and maybe a little country and western thrown in for fun. What you will certainly get with The Modern Trio is an enjoyable, awe-inspiring, and thoroughly entertaining performance experience. If you have special needs, please let us know. In an effort to make our programs and activities accessible to all interested people, we ask that those individuals requiring accommodations for special needs please contact the Cultural Events Office at (218) 299-4366 two weeks prior to the event. Hearing assistant systems to amplify stage dialogue or music can be made available if reservations are made in advance. Wheelchair accessible seating is available. Please indicate the number of wheelchair seats needed at the time of ticket order so that we may properly seat you in the facility. Braille or large print programs are available. A minimum of 14 days advance notice is required. American Sign Language interpreters may be provided for appropriate performances. A minimum of 14 days advance notice is required. Telecommunication Device for the Deaf (TTD/TTY) service is available by calling (218) 291-1120.